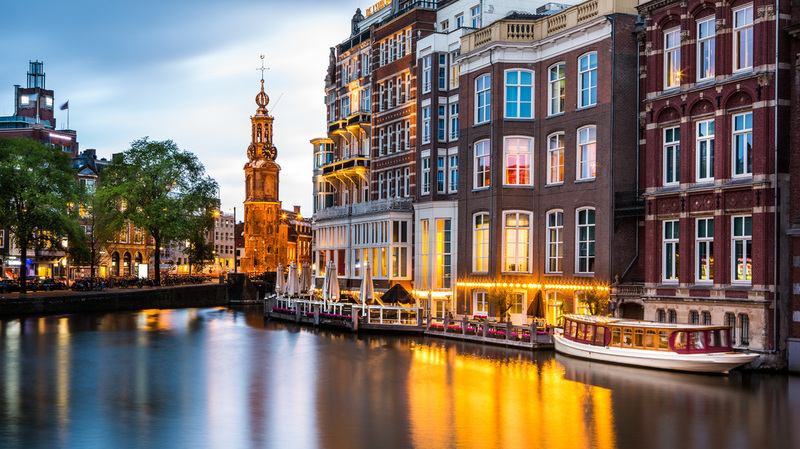 Amsterdam is winding waterways, idyllic bridges and historic buildings - one of the most memorable ways to truly see Amsterdam is from the canals. Think the Netherlands and know that there is much more to see. There's Keukenhof, the largest flower garden in the world. Imagine wide stripes of vibrant colors, field after field in the spring. This is a short train ride from Amsterdam, a great day trip. Then, of course, the windmills. With over a 1,000 windmills in this tiny country, the 250-year old windmill park in Zaanse Schanse is a must see. Truly one of the jewels of Europe. Plan your time wisely because you'll run out of time before you run out of things to see. Start with the museums, from the Rijksmuseum to the Anne Frank house, from Rembrandt to Van Gogh. Then explore the avenues along the canals and plan a canal tour. Choose from 3, 4 or 5-star hotels in this incredible city. Ask about car rental, train tickets, transfer and sightseeing tours. Windmills turn slowly while cattle graze under a brooding sky, bridges arch over peaceful canals - like a scene from a 17th century Dutch Golden Age painting, these idyllic landscapes (with a few modern touches) still present the visitor with a delightful composition. Airline and cargo company retirees and employee parents, call today!